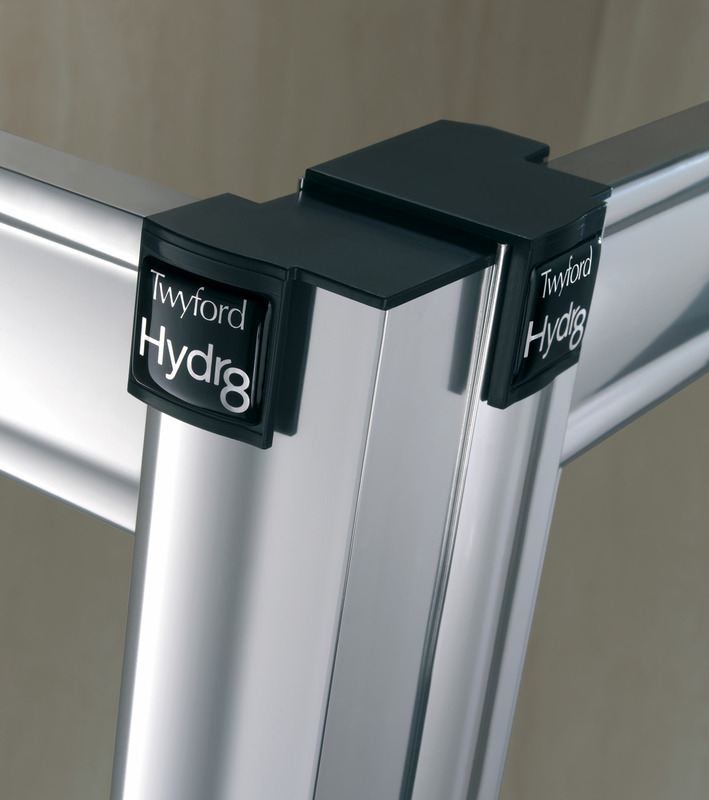 The latest Hydra8 Shower Door meticulously crafted by Twyford will add glitz to your bathroom with its sheer presence. 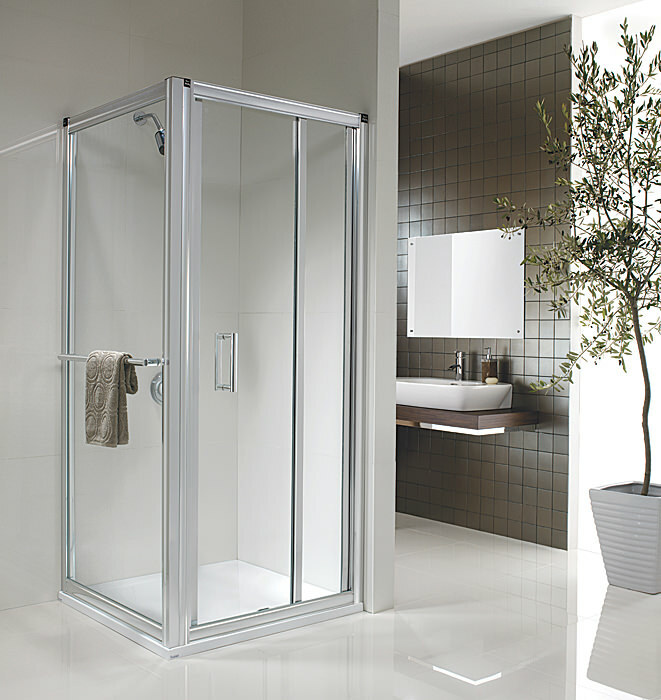 The in-fold shower door features 8mm thick toughened safety glass which is durable and can be used in a recess or with side panels for a complete enclosure. 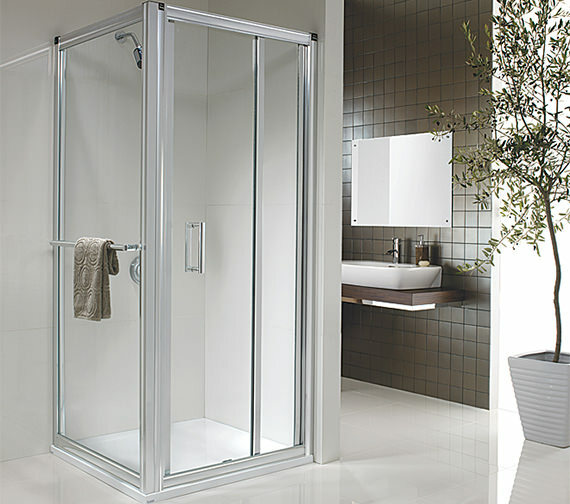 The silver finish of the creation gracefully elevates the visual appeal of your bathroom. 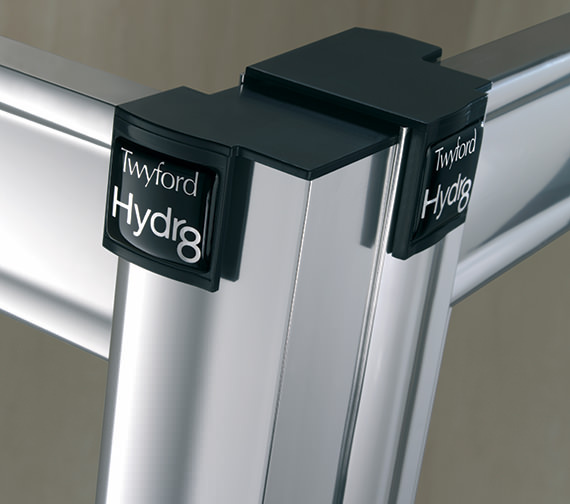 The door slides inwards and can be installed to open from left or right. 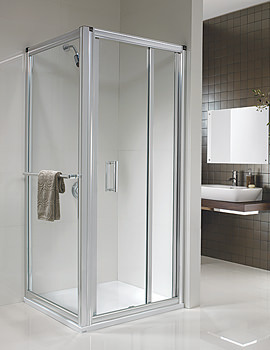 It carries a lifetime guarantee from the manufacturer, against any manufacturing defects. Re Twyford hydra 8 Trying to read the information regarding sizes and find the text too out of focus to read. 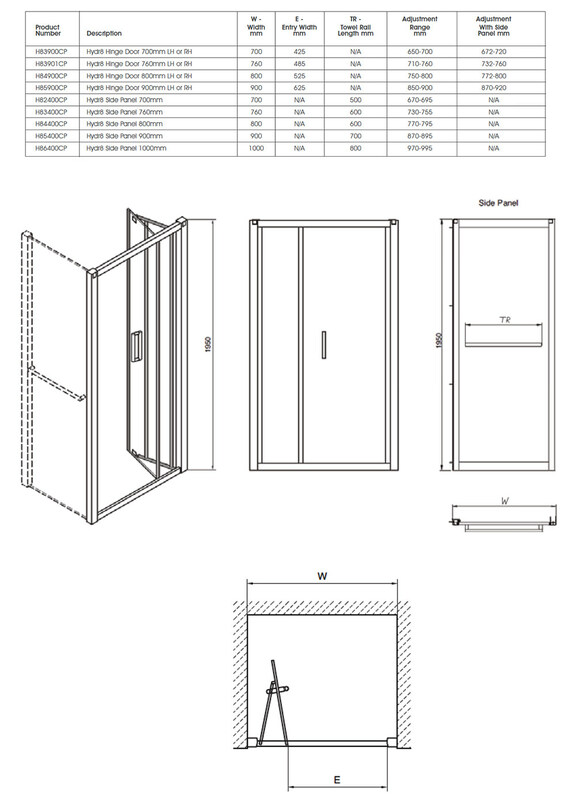 I have a slightly out of vertical recess being 720 mm at bottom and 730 at the top. Will it cope with this difference and which size should be chosen? Hi Roland, Thanks for your query. 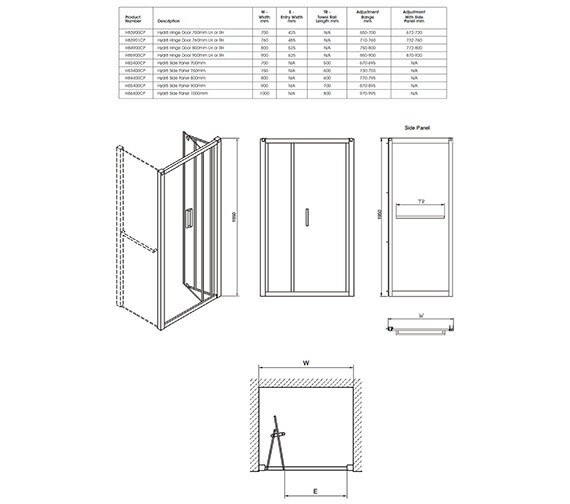 This 700mm door comes with 650-700mm adjustments and if you have a look at 760mm door (QS-V40343) the adjustments are 710-760mm. Hope this helps.